Children (or adults!) with mood or behaviour issues need to get enough protein in their diet. 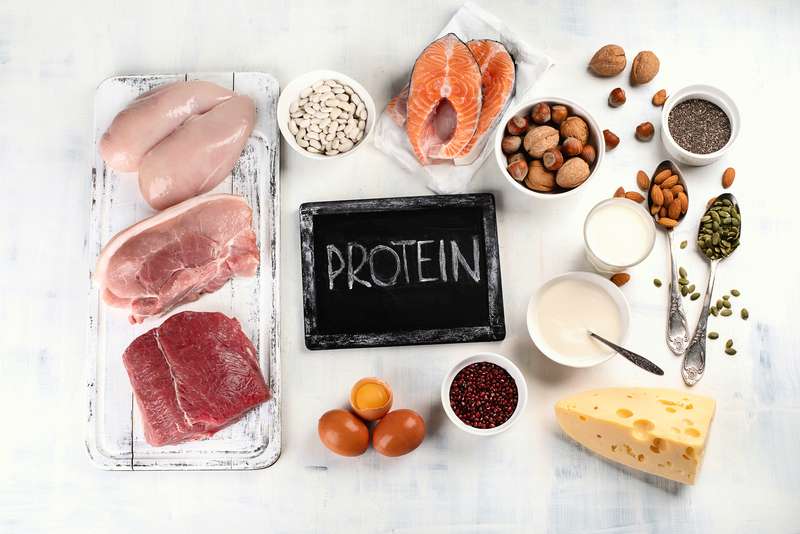 Ideally, there should be some protein at every meal or snack. That doesn’t mean eating meat 5 times a day, it’s just a matter of being mindful to include some high protein foods such as nuts, legumes or eggs. So why is this protein so important? There are a few reasons why this protein is useful. Eating protein with a carbohydrate will lower the glycaemic load of the carbohydrates. Fluctuating blood sugar due to eating high glycaemic index foods will affect a child’s mood, behaviour and IQ. Sugars and starches are quickly broken down to glucose during digestions and absorbed into the blood stream, giving a sudden burst of energy. The higher the glycaemic load of the meal, the greater the fluctuation in blood sugar. Neurotransmitters. These are the chemical messengers in the brain and have a huge influence on things like mood and behaviour. To make neurotransmitters, you need amino acids. Amino acids come from protein. So if your child isn’t eating enough protein, they won’t be able to make enough neurotransmitters. Serotonin is one of these really important neurotransmitters. It has a big impact on mood and sleep, and it is made from the amino acid tryptophan. If you child already is low in serotonin, either because they aren’t eating enough protein, or because they are always stressed, they may need a supplement. A perpetually stressed child, or one with a chronic infection won’t make serotonin efficiently, so finding ways to help the child relax and treating infections are important too. A great way to see if your child isn’t making serotonin well is to do an Organic Acids Test (OAT). Another important neurotransmitter is dopamine. If a child doesn’t have enough dopamine they will have addictive tendencies, restless legs, be unmotivated, have dull dreams and be forgetful. To boost dopamine, and therefore boost focus and motivation, kids need to eat foods high in the amino acid tyrosine. Protein fills you up more than carbohydrates do, which means eating protein helps you manage your weight. This means your child won’t reach for snacks as often, which is a great thing to help avoid artificial additive and junk foods.